Then you will love Nimbus from Whimsical Ideas by Pam! Just look at this beauty! 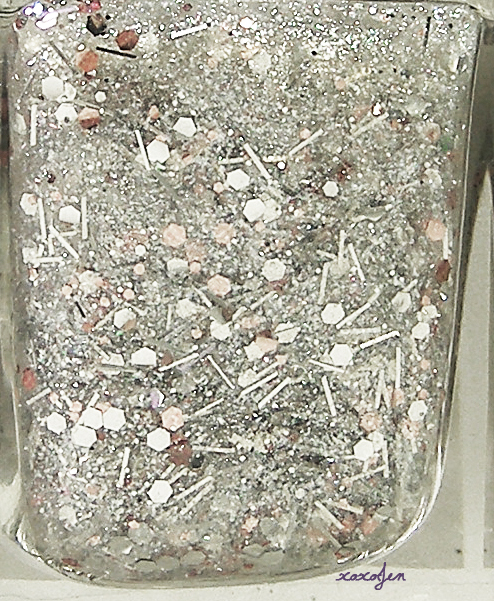 Nimbus contains silver bar glitter, two sizes of silver hex glitter, pink hex glitter, smaller silver and pink round glitter, and teeeeeeny tiny micro silver and iridescent glitter that flashes purple and blue. Pam's inspiration for this polish was her kitty named Nimbus. "this polish was named after my first amazing kitty, "nimbus", who lived to the ripe old age of 18. she was a stunning little silver persian who looked just like a cloud." See those purple hex glitters? That is actually silver hex glitters reflecting purple from my lamp! Isn't that the coolest thing!? Nimbus is like a chameleon! 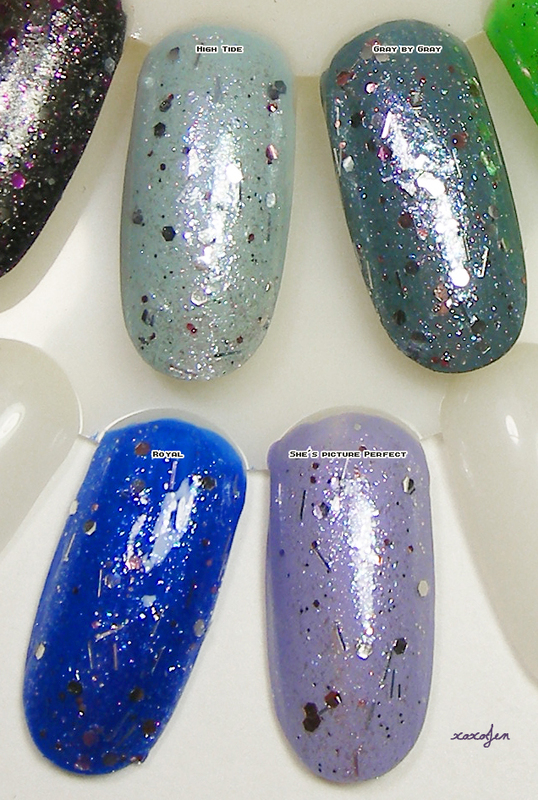 Below are some nail wheel swatches I created while choosing what color to wear Nimbus over. As you can see, Nimbus looks great on all of them.